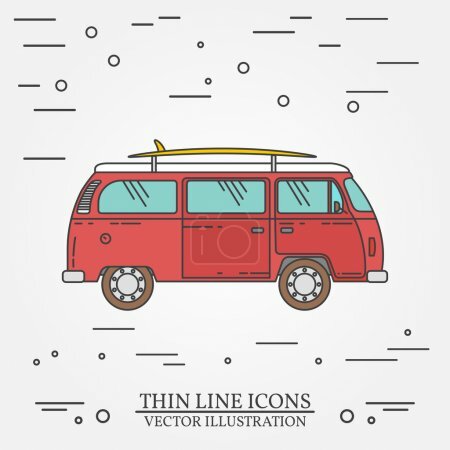 Travel bus family camper with surf board thin line. Traveler truck tourist bus outline icon. RV travel bus grey and white vector pictogram isolated on white. Summer bus family travel concept. Vector illustration.